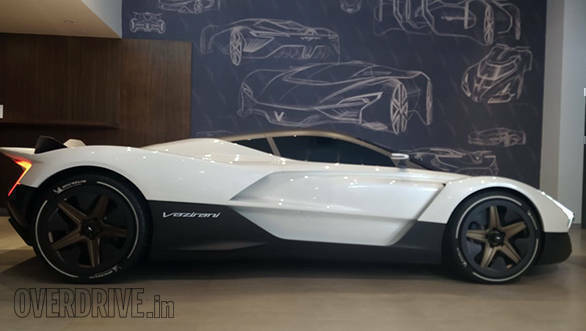 After a recent showing at the Goodwood Festival of Speed, the Vazirani Shul electric hypercar was showcased in Mumbai. 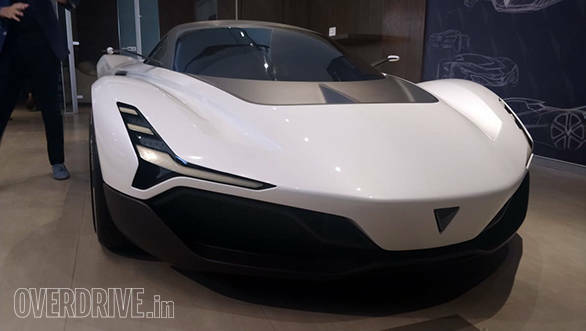 The Shul is being developed by Vazirani Automotive, a Mumbai based firm founded by Chunky Vazirani, a designer with past experience working with Rolls Royce, Jaguar Land Rover and Volvo. The concept car has been designed under the guidance of Kazunori Yamauchi, the producer of the Gran Turismo video game series. The design is meant to convey subtle aggression and takes influences from Hindu mythology. Vazirani also says that the advantages of EV packaging helps the car be very efficient aerodynamically. The Shul sits on a carbon-fibre tub chassis with a 300 kg battery pack that sits on the floor behind the driver. Most interesting is the Shul's powertrain. It uses a microturbine to charge the batteries. This feeds power to four electric motors, one on each wheel. A single ratio transmission connects the two, much like the Regera. The electric motors allow it to have torque-vectoring capabilities and also the range-extender turbine allows it to have as much range as a conventionally powered car. The turbine can run on regular petrol. The Shul has been developed with inputs from the Force India Formula 1 team. The company claims that the Shul focuses on a more engaging driving experience, rather than outright acceleration and speed. 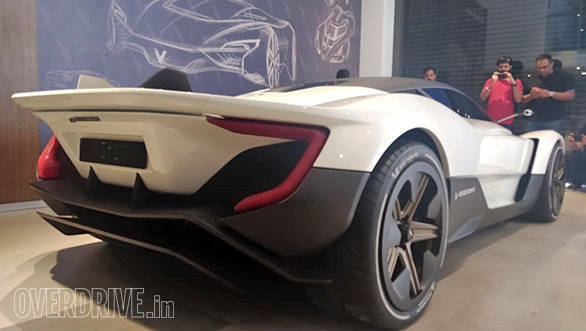 The hypercar is still in its concept phase with around 90% of the exterior look having been finalized. Around 40% of the internal work has been completed. The company hopes to launch a production version of the hypercar by 2021.